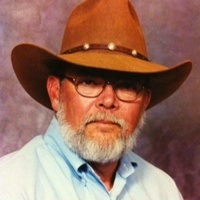 Thomas Albert Bader, 72 of Lake Wales, Florida passed away Friday, January 18, 2019 at the Lake Wales Medical Center. He was born on October 17, 1946 in Lakeland, Florida to the late Albert and Odell (Varnadore) Bader and he has been a lifelong resident of this area. He was a retired Dry Wall Finisher. Thomas enjoyed the outdoors, he loved hunting, fishing and camping. He was preceded in death by his sister, Vermell Hron. Survivors include his wife of 4 years Linda Thomas; daughters, Theresa Coomes of Orlando, Cynthia Bader of Lakeland, Tamatha Chiles of Aiken, SC; sister, Diane Zalanka of Lakeland; 4 grandchildren. A celebration of life service will be held on 2:00PM Saturday, January 26, 2019 at the family residence.